The MG B is a legendary car because it is the definitive British sports roadster. Produced between 1962 and 1980, they are ubiquitous – with over half a million built. You can find them everywhere, they are cheap and easy to work on. And fun. And wild – I’ve been in one that launched into a snowbank off a slippery runway. Good times. But what we have here is a very special MGB. In 1964, MG started planning for the “next MGB” and built a prototype chassis with independent rear suspension and four wheel disc brakes. The engine was a 1.3-liter straight-four found in most other BMC products (but, strangely, not other MGBs). They shipped the chassis to Italy for Pininfarina to attach a prototype body to it. It was intended to replace the B and the MG Midget. But both cars were strong sellers – and why mess with success? This car got put away and eventually sold into an MG museum in 1977 having only 100 miles on it. Today it has covered only 374 miles and is all original. It’s one of a kind and it’s the first time it is being offered for public sale. It is expected to bring between $51,000-$66,000. Click here for more info and here for more from this sale. 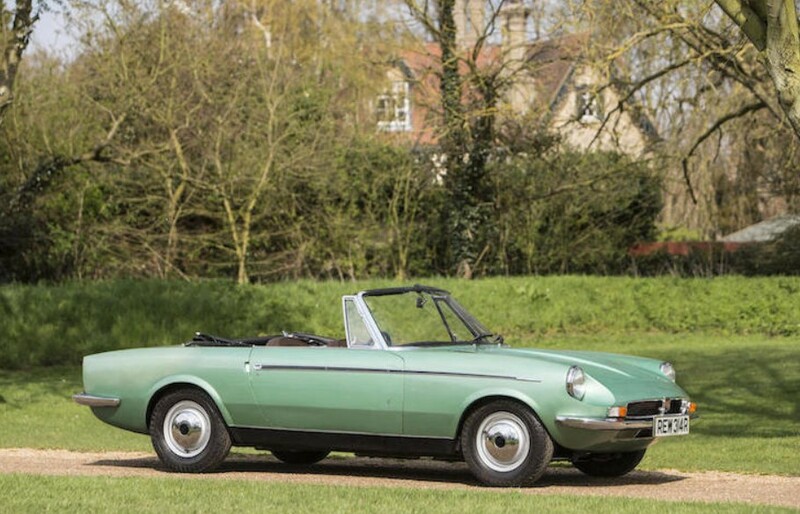 This entry was posted in Uncategorized and tagged 1965, auctions, b, Bonhams, cars, classic cars, ex234, mg, mgb, pininfarina, prototype, roadster by classiccarweekly. Bookmark the permalink.